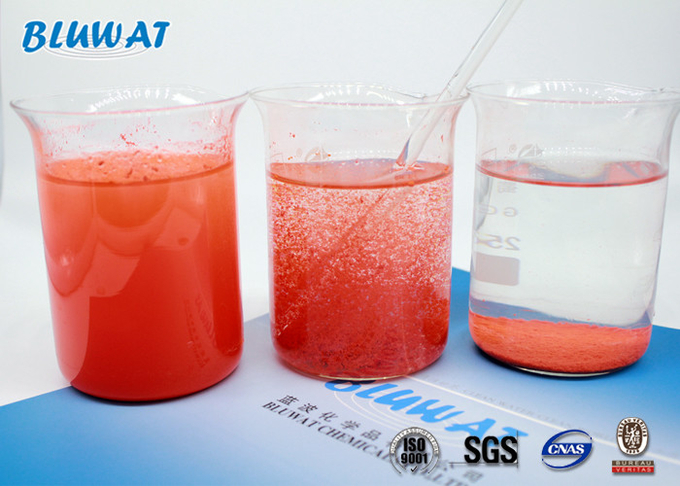 BWD-01 Water Decoloring Agent is a special product for de-coloring, flocculating, CODcr decreasing and other applications. It is used to remove color of waste water generated by textiles process houses and dyes industries and other fields, with strong decolorization (50%~99%) and removal of COD (50%~80%). By providing a large number of cations, the negative charge is brought on dye molecules are neutralized instability, at the same time with BWD-01 by a large number of hydrolysis of flocs, so as to achieve the purpose of decolorization. 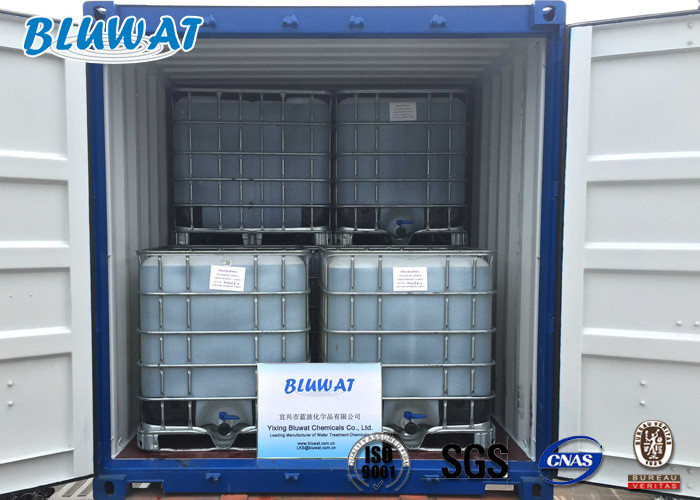 BWD-01 Water Decoloring Agent is specially working high performance with the dyeing wastewater containing the hydrophilic dyes, less dosage, fast speed, and also decrease the composition of COD. Make BWD-01 solution, mix with 40 times water to have 2.5% solution for use. Make solution of Anionic Polyelectrolyte, 0.1%.